Excerpt: 'I have brought only two chapatis,' replied Bakha. The feeling came to him which had possessed him throughout his journey, of the struggle between a clean breast of it all and lying. Aishwarya speaks: The 'Untouchable' is a unique experiment in the art of fiction by its concentration on a single day's experience in the life of its hero. 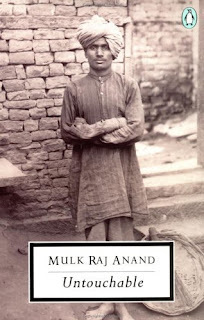 Mulk Raj Anand, one among the terrific trio of Indian English Literature, deliberatly pictured the life of an untouchable, the downtrodden class of the society. The novel becomes a great work by drawing into its world, the life, and culture of a whole village. Bakha, the sweeper boy is the center round which the world of the novel unfolds itself. The life of an untouchable is a continuous and never ending experience of separation and exclusion. Bakha is person having lots of dreams. He wants to lead a life of an English man. But society mocks at him. The upper class just exploit them for their own sake. Even the very presence of an untouchable pollutes a man who belongs to the upper class. Bakha and his community have to do the dirtiest of the dirtiest jobs. Anand, at the end of the novel suggests some ideas which may ease up their jobs. The novel showcases the situation of the pre-independent India. This novel is a social criticism, a powerful criticism of the evil of untouchability that made life most miserable and intolerable to the poor sections of Indian society. I was planning on reviewing Coolie some days back and today you put Untouchable :) Will do my review after I return in April. 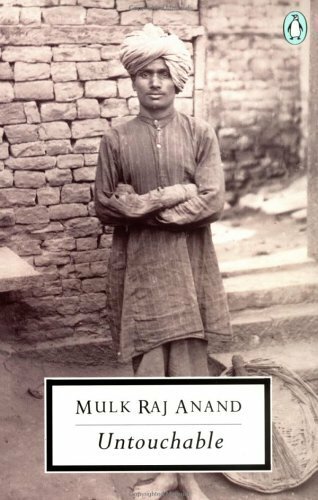 Long before Indian English authors became a thing, there were the likes of Mulk Raj Anand. Sounds like an absolutely wonderful book. Must get to know the Untouchable. covered this one back in school days, a classic, well reviewed and aptly rated! @Pulkit: thanks for the suggestion..I will definitely try.